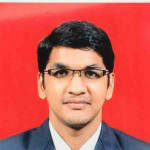 I am a young and energetic doctor working in the field of diabetes, thyroid and general medicine. Besides treating patients I am involved in diabetes research with more emphasis on the prevention and lifestyle modification, thus ensuring minimal use of medication and in turn a healthier life. My mother (age 52 yrs) being a diabetic patient use to take medicines (tablets) for it since a long time and subsequently shifted to insulin injections shots twice a day of 12 mm in morning and 10 mm in evening However, now she has stopped taking insulin since last 2-3 months (mainly due to pain caused by the injections) and shifted back to her earlier tablets and also try ayurvedic methods like chewing insulin plant leaves and likewise. Though she is not regular with these homemade ayurvedic measures, her diabetics has been little down now from 300-350 level (when she use to take insulin injections) to current 250 level. Now from last 2-3 weeks she is having pain in her right knee which is getting severe resulting in sleepless nights. Doctors referral has ruled out any fracture and have simply advised her to loose some weight (though her weight is actually average) and apply massage oil on it. Need some concrete advice to subside her pain. Thanks in advance. She can try indigenous medicines and plants but restart insulin. The pain occurs if insulin is taken at same site repeatedly or cold insulin. She is past menopause hence having osteoarthritis and may be osteoporosis in addition. Take good pain killers for few days try hot fomentation and given rest to that joint for 10-14 days and start gradual exercises under supervision. I can't sleep at all the whole night. I am feeling loss of energy, drowsy. I am having hypothyroidism & diabetic problem, loosing weight & day by day looking so thin. I have a pressure and sugar how to I control and also give me its use and collester are also how to I controlled. Diabetes and bp can be controlled by 1. Diet - reduce sugars and salt in your diet reduce intake of rice 2. Excercise ---exercise everyday for 1hour either in the form of walking or playing sports 3. Take meds regularly if already taking 4. Check sugar levels and bp regularly. My self sudhir uppal my blood sugar level 135 random after two hours eating is it normal or not. Any precaution in future please suggest to me. If you have a family history of Diabetes, then you have to be careful. At present, your blood sugar is in the normal range but may I suggest you to check it once every 6-8 months. Have a simple healthy & nutritious diet. Do regular exercise. It will help you to prevent most of the lifestyle diseases. Sir/mam, my mother has diabetic range -plasma glucose (fasting: 123.3 mg/dl and plasma glucose (post prandial: 198.3 mg/dl. What should I do? My blood sugar level is 110 in fasting. I am 33 years old should I start taking medicine. You need to get the following tests done: Hba1c and 2 hour post meal blood sugar. Based on all the reports ,one can decide whether you need medicines or not. I am 55 years, male, height 5'2" weight 62 kg, suffering from type 2 diabetes for last 18 years. My Fasting sugar is 175 mg/dl and pp 300 mg/dl. Now my doctor advised to take telenigliptin20 and glimepiride 2 mg before breakfast, Canagliflozin 100 mg after lunch and Avas 10 and Ecosprin 75 before dinner with Glaritous insulin 20 unit bedtime. Will it be possible to control my blood sugar. Food and diabetes do not go hand in hand. If you are a foodie and if you are diabetic, then you have tough luck. When afflicted with diabetes, the most basic medicine to control it is your diet. There are certain foods, which will help you bring diabetes in control and certain foods, which you have to avoid if you don't want the sugar level to rise beyond necessary. It is extremely important to keep a check on what you eat when you are afflicted with the diabetic condition. Fruit beverages: You might think that if the beverages are fruit based, then they are safe to be had; incorrect. Fruit beverages contain a lot of hidden added sugar. They are also high in calories, which again are harmful. The best way to judge a fruit beverage is by reading labels on the bottles. You will get your information there and it will be easier for you to judge which beverage you might have. French fries: French fries may be extremely tasty, but they are also extremely bad for your health, especially if you are diabetic. They are full of saturated fat, sodium, calories and too much of carbohydrates. Even though most of the restaurants claim that the fries are trans fat free, it still isn't healthy for you at all. Fried chicken: Fried chicken is another food item you can devour, but even this is very harmful. Although chicken is a good source of protein, frying it adds an unhealthy amount of carbohydrates, calories, fats and sodium. These added components make this healthy source of protein extremely unhealthy. Hamburgers: Hamburgers are full of saturated fat, which leads to a high level of cholesterol. It contains a huge amount of cheese, which supplies your body with a huge amount of calories. Although you do need 7% of saturated fats, hamburgers usually give you much more than the required amount. Milk shakes: Milk shakes are loaded with sugars and calories and they might also have hidden trans-fat. Not only does it increase your sugar level, it also makes your heart suffer. I am 62 years old diabetes, my both the legs itching sometime and scratches all over. Please reply. Long standing diabetes patients suffer from autonomic neuropathy. Which lead to loss of sweat in foot and lower limb area. Autonomic neuropathy is irreversible. You can apply calamine lotion and moisturiser to foot n leg to avoid drying. Antihistaminics like levocetrizine will take care of itching. You can take. Since it is vegetable juice it will do no harm.However there is no strong relationship with blood sugar. All the best.